In recent years, federal funding for public broadcasting has fallen to record lows. Many broadcasters have turned to wealthy donors to fill the gap. In 2006, billionaire industrialist David Koch joined the board of WNET, New York’s PBS affiliate. 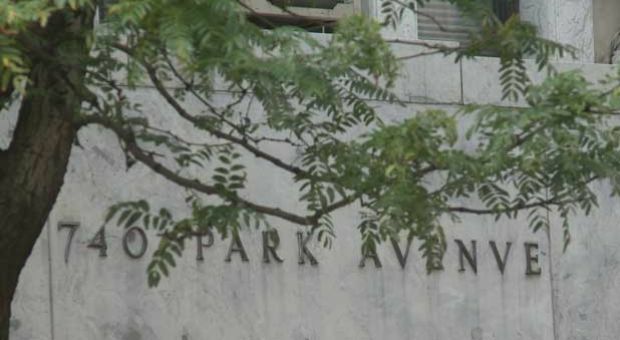 Last fall, the station aired a documentary titled, “Park Avenue: Money, Power and the American Dream,” which contrasted ultra-rich residents of the Upper East Side with their Bronx counterparts. In an article for The New Yorker magazine out this week, investigative journalist Jane Mayer chronicles the fate of that movie and another documentary produced for PBS. Diane talks with Mayer about the questions her article raises about the influence of big money on public media outlets. Jane Mayer Staff writer at The New Yorker and author of "The Dark Side: The Inside Story of How the War on Terror Turned Into a War on American Ideals." Watch One Road, Two Very Different Worlds on PBS. See more from Independent Lens. MS. DIANE REHMThanks for joining us. I'm Diane Rehm. Over the past several years, billionaire industrialist David Koch has given $23 million to public television. His company is reportedly interested in acquiring the Tribune Newspaper Company. But last week, Koch resigned from the board of New York PBS affiliate WNET. MS. DIANE REHMIn a new article published in The New Yorker magazine, investigative journalist Jane Mayer describes what happened to a pair of documentary films while David Koch was on the board, what lead to his resignation, and what it could mean about the influence of big money on the media. Her article is titled "A Word from Our Sponsor," and Jane Mayer joins me in the studio. MS. DIANE REHMThroughout the hour, we look forward to hearing your questions and comments. Call us on 800-433-8850. Send us your email to drshow@wamu.org. Follow us on Facebook or send us a tweet. Welcome back, Jane. It's good to see you. MS. JANE MAYERI'm so delighted to be with you. Thank you. REHMThank you. Tell us about the movie "Park Avenue," what it was about, and how it came to air on public television. MAYERWell, it's an independently-made documentary. It was funded by others besides public television. There was some public television money in it, but it was kind of developed separately from public television. So when it was ready to air, it was -- what was in it was something of a surprise to the people at WNET and not a happy surprise as it turned out because the documentary which is made -- was made by Alex Gibney, who's an Oscar Award-winning documentary maker and has done a number of tremendous films. Anyway, it was meant to focus on the growing economic inequality in America. MAYERAnd the way he decided to tell the story was to focus on one building in New York City, 740 Park Avenue, as the epicenter of concentrated wealth. And it's a building that is incredibly expensive to live in and has a very high concentration of billionaires living in it. And so Alex Gibney looked at this building, and then he contrasted the lives of its residents with the residents at the other end of Park Avenue who lived in squalor. And it was just an exploration and a meditation about the sort of inequality in the country. MAYERBut the reason this was an unhappy surprise for WNET is one of the residents of the building turned out to be David Koch who was a trustee on the board of WNET, and so this film was just kind of taking direct aim at one of their trustees and portraying him in not the most flattering light in -- subjecting him to a pretty tough scrutiny. And when the station discovered that this trustee was about to be portrayed, among other things, as the cheapest tipper in the building, even though he's worth $40 billion, all hell broke loose basically. REHMDid the "Park Avenue" director, Alex Gibney, interview the Koch brothers for the film? MAYERHe certainly tried to do so. He and his production firm sent two emails to the Koch brothers asking to interview them. And then eventually the spokesman for Koch Industries, which is the privately owned company that the two Koch brothers basically own -- it's a company that does $150 billion worth of business every year -- it turned down Gibney for an interview. MAYERBut the spokeswoman for Koch Industries told me when I called about this that she had no record that Gibney had ever approached her for an interview, and it was one of the things that angered them. And -- but Gibney actually -- he is a documentary maker, and he documents things really well. And he had the paper trail. So he did what reporters are supposed to do. He tried to contact them. He was turned down for an interview. MAYERAnd so part of what happened next, this is important for, because the Kochs did have an opportunity to comment in this documentary, and they decided not to. Instead, WNET, as things unfolded three days before the documentary aired, decided to give them special privileges for commenting in -- privately separately from the documentary, hand over the public airwaves, so that they could go on the air and say whatever they wanted about the documentary. REHMDid they ask for changes to be made to the documentary, or did they simply view it and then say, we'd like to comment afterwards? MAYERWell, actually, neither. One of the things that was really unusual about this was they did comment about the documentary. The company wrote up a statement slamming it as divisive and disappointing, but they actually never bothered to view it. So PBS -- WNET ended up airing a statement from Koch Industries, dumping on its own programming from someone who'd actually never taken the time to watch the programming. MAYERAnd I asked the spokesman at Koch Industries, how could you have criticized it if you didn't watch it? And she said, well, they watched a trailer that was, I think, a promo online. And then I asked Alex Gibney, how long was that promo? It was two minutes and 30 seconds. And on the basis of that, they went on the air and, you know, dumped on the programming. MAYERBut David Koch told the president of WNET that he didn't need to see the documentary early. He also wasn't sure how he was going to react to it. He said he would watch it and see. And, nonetheless, all weekend long before this documentary aired, WNET was in a swivet with the president of WNET, trying to figure out what he could do to try to, it appears, sort of mollify David Koch. REHMAnd that, of course, is because David Koch had given some $23 million to public television over the years, starting, I gather, with WGBH in Boston. MAYERSix. He went on the board of WNET. And there was something else I discovered going on during all of this, which was, apparently, this was a particularly acute time for WNET because David Koch was set and had discussed plans to give the station a seven-figure donation, at the least. It was seven figures or more. MAYERHe's worth, again, $40 billion personally. And so he was going to help them out with what was going to be an ambitious capital campaign. But when his documentary aired, he changed his mind. So there was a serious amount of money on the table that he then took off the table after this documentary. REHMAnd he resigned from the WNET board. MAYERJust last week, yes. And he resigned from the board because of his anger at what they aired. So altogether, this was, to me -- as someone writing about the influence of concentrated money on the media, it was interesting because what you see is that with patronage comes influence. And so at a time when the Kochs are thinking, reportedly, of buying the Tribune Company, you get to see a little foretaste, and what you get to see is they are not happy about having what you might call a strenuous coverage of themselves. REHMBut, Jane, aren't you sort of leaping here? I mean, we did invite the Koch brothers to come on to the program this morning. We did invite the general manager of WNET to make a comment this morning. We've received written statements from both. Is there any -- what is your major concern about what happened here? David Koch certainly had a right to pull his money off the table. He certainly had a right to resign from the board. It doesn't seem as though WNET changed the documentary to reflect favorably on the Koch brothers. So what is your major problem? MAYER...in New York. The station changed -- basically, New Yorker saw a different version than the rest of the country, one that was more critical of the documentary. As it introduced it, it said it was provocative and controversial, which is different from the introduction that the rest of the country saw. So there was some change in the programming. But more importantly is that they allowed a donor, a major donor, to go on their public airwaves and rebut a documentary that they aired. MAYERAnd they gave him unfettered access to their airwaves to put up a statement, which he did through his spokeswoman, and that is not precedented on public television. I spoke to the spokesman for WNET, and I spoke to the spokesman for PBS. And they couldn't think of a single another time when this has ever happened, where someone from a documentary was just given the chance to rebut it afterwards. REHMJane Mayer, she writes about politics for The New Yorker. Her article "A Word from Our Sponsor" is featured in the May 27 edition of the magazine. You can see a trailer of "Park Avenue" at our website. Stay with us. REHMAnd welcome back. Jane Mayer is with me. She is a reporter. She writes about politics for The New Yorker magazine. Her article "A Word from Our Sponsors" is featured in the May 27 edition of the magazine. The article she wrote talks about two films, one called "Park Avenue," the other, a feature on the Koch brothers. And I want to talk about that one as well, Jane. Before I begin reading you emails, and we take calls from our listeners, tell us about that second film. MAYERWell, the second film was by two young filmmakers, Carl Deal and Tia Lessin, who've also been nominated for Academy Awards for a film they did about the Katrina storm in New Orleans. And they were doing a story about the influence of money and politics, and they were in sort of development with the part of public television that develops independent films. It's called ITVS. And anyway, they were sort of trundling along. MAYERThey'd gotten green lighted for $150,000 in programming, and they were getting -- I've looked at a paper trail on this. They, too, as documentarians, kept everything. And basically, they were getting all kinds of good feedback until the Gibney film ran into its problems in New York. And suddenly, they hit -- all kinds of alarms went off because they had decided to name their film "Citizen Koch," which was -- because the reporting they were doing, they were looking particularly at the Wisconsin's politics, where the Koch's political organization, Americans for Prosperity, was a major player. MAYERAnd so the narrative had naturally -- the reporting had led them to reporting about the Koch brothers' influence on politics. But they -- this happened just as Gibney's documentary was angering David Koch in New York, and WNET is the largest station in the network of PBS affiliates. It's an incredibly important station. And the little, tiny part of PBS that creates independent films had been yelled at by the head of WNET and -- because he felt blindsided by the earlier film. MAYERAnd basically, one thing led to another and the film "Citizen Koch" got killed by ITVS. And according to all kinds of phone calls that have been documented by the documentary makers, they were told to change the title, get the Koch's name out of the title, change the storyline to deemphasize the -- its focus on the Kochs. And basically, eventually, they were told that it was a no-go, and their film was killed, not funded. MAYERAnd so there was kind of chain reaction that followed from the Gibney film that ended up in killing another film in the pipeline about the Kochs. So you can see that there, you know, from -- at least the filmmakers feel they were censored for political reasons. Gibney feels that Koch was given special privileges and -- to criticize his film without seeing it on air. And basically, the sense is there was -- that the filmmakers have is that there was, you know, undue influence used by one of the funders. REHMAll right. Let me read to you a statement we've received from Kellie Specter, who's senior director of communications and marketing at WNET New York Public Media. She says, "WNET aired the Alex Gibney documentary "Park Avenue" as scheduled on Nov. 13, 2012. We did not give preferential treatment to the subjects of the film. Given the film's focus on our New York community and its provocative content, we also aired a subsequent roundtable discussion featuring participants with forceful and widely differing views on issues of wealth, poverty and political influence. REHM"We have previously used roundtable segments to expand on programming covering controversial topics. We invited Mr. Koch and Sen. Schumer, the two main characters in the film, to participate. They both declined, provided brief statements, which we included in the program." And she concludes, "By airing 'Park Avenue' in its entirety and by expanding the dialogue about its content, WNET's actions were consistent with our editorial guidelines, those of PBS and our mandate to serve the public interest." MAYERHe was not invited. And David Koch was invited. But more importantly, David Koch was given a chance to put a comment up on the public airwaves, rebutting of the programming of public television. And that is not something they've done before. As I said, neither the spokesman for PBS nor the spokesman for WNET has -- could find any other examples of that. And I interviewed Neal Shapiro, the president of WNET, and he acknowledged it was very unusual. MAYERHe said, in fact, that he -- that David Koch is the only member of that film, the only person covered in it who we called. He said, I only just called David Koch. He's on our board. He's the biggest main character, no one else, just David Koch because he's a trustee. It's a courtesy. In other words, he called him because he was a trustee, a trustee who was going to be giving an awful lot of money. MAYERI asked Neal Shapiro, well, did you give him this chance just because he was going to be giving a lot of money? And he said, no. But he couldn't think of any other time when he's ever given anybody a chance to just go on the airwaves with a rebuttal like this. So its is a one-of-a-kind sort of situation and one that rings lots of alarms for people who were concerned about the power of sort of concentrated money affecting coverage. REHMAll right. Let me read you an email from Jay, who says, "I was concerned some time ago when it was reported George Soros made a sizeable contribution to fund reporter positions at NPR. Does your guest believe that such funding affects the impartiality of the media? And if so, why should we view NPR as more pure than reporting, which is sponsored by commercial interest rather than ideologues?" MAYERWell, first of all, I don't know if that's true. I've never seen that George Soros funded reporters at NPR. It could be, but I just don't know anything about it. But I think the sponsorship by any ideologues raises alarms in the minds of people who watch the press. And, I mean, the -- what is interesting to me about, you know, the Koch brothers is that unlike -- there are a number of families that have owned news organizations. You know, you look at the Sulzbergers of The New York Times or the Graham family of The Washington Post. MAYERBut what you don't see by them is the kind of political operation that the Kochs have. They are not -- they are big players in politics. They were among the largest funders of -- in the last presidential campaign. They have a very distinct political point of view. And they are lobbying and making hundreds of millions of dollars of contributions along with friends that they helped sort of corral into giving contributions. MAYERAnd they have an organization, Americans for Prosperity, that is out there working as a advocacy group, and they're -- they -- they're not like the other families that own media organizations. They're much more politically active, as far as I can tell. REHMThey, too, sent to us their own statement, which begins by saying, "New Yorker's Jane Mayer distorts the facts and misreads -- misleads readers." Again, it begins by saying, "There are many flaws, omissions and inaccuracies in her article, falsely claiming David Koch manipulated programming decisions at WNET in New York. REHM"However, Ms. Mayer's fundamental failure is that there is not a single fact in the piece showing any such conduct by Mr. Koch. That is because these facts don't exist. No special treatment was ever requested or expected, and Mr. Koch, on principle, has never interfered with WNET's programming decisions." REHMBut let's talk about what they claim. MAYERWell, I mean, that -- yeah. REHM"No special treatment was ever requested or expected, and Mr. Koch has, on principle, never interfered with WNET's programming decisions." MAYERWell, of course, what they've done -- I mean, that is -- they sort of built us a straw man there. The piece is very carefully reported. Everything was checked with the spokesman for the Kochs. There's no error in the piece. It simply states what happened, and what happened was that David Koch was very unhappy with a documentary that aired and took his money away because of it. MAYERIt doesn't say what they're saying it says. You know, they're basically denying their own story, not my story. So, you know, I -- it's frustrating to deal with them. I -- you know, you try as a reporter. You really want to get all sides, and you want to get it right, but they don't make it easy. REHMAnd you're listening to "The Diane Rehm Show." Here's another quote from the Koch brothers, saying, "Ms. Mayer writes that, for decades, Mr. Koch has attempted to make an 'ideological inroad, in parentheses, at WNET, enabling him to exert influence over a network with prominent news operation.' No factual basis is provided." MAYERWell, just by joining the board of WNET, he's obviously taking a position where he's in a position to have influence, and that's what we saw in this. I mean, in a way, the whole story -- everything that's happened in this story pretty much illustrates exactly what those two documentaries said, which are there are people with very concentrated wealth who are exerting influence over politics and media, and it's worth taking a look at. MAYERAnd that's basically what both of those documentaries said, and it's pretty much what the story says. They -- there was a great concern on -- a concern at WNET that Neal Shapiro says and acknowledges. He did not exhibit towards anyone else except David Koch, a trustee. He gave him an opportunity to respond to programming that he's not given to anyone else. MAYERThe Kochs took advantage of that, and they used it, which is they knocked a program. They didn't stop to look at it first. You know, this is -- it's -- the whole thing is very unusual. And then it -- you know, after that -- in some ways, what's disturbing is it seems that public television self-censored after that, and there's no allegation that David Koch killed this documentary called "Citizen Koch." MAYERWhat happened was public TV killed it. They were afraid to take him on after this, and it's much more subtle than the way that Koch Industries is describing. It's what -- it's really the way money works, frankly, which is all you need to know is seven figures is hanging out there as a possible donation, and it's going to influence what you do. REHMAnd so as government funding goes down, do you expect to see more of this? MAYERI don't know. I mean, I think, you know, personally that it's also an irony that Americans for Prosperity, which is the political organization funded by the Kochs and founded by one of them, is -- has pushed hard to cut the public funding for public television. So at the same time that you've got them pushing for less federal funding, they are taking -- you know, using their own fortunes to kind of earmark funding that they like. MAYERAnd, I mean, I think it's a worrisome situation. It's not -- it's different from public television in other countries. You know, in -- for instance, in Great Britain, public television is funded by a tax on people's television sets. And I think, you know, it -- there -- it helps insulate the programming, therefore, from private interests. REHMSo this documentary, "Fifth Avenue" -- "Park Avenue," which listeners can see the trailer of on our website, you believe is an example of how big money can play a huge role in what we see on public television. We're not talking about public radio yet, but I'm sure at some point the same allegations might be raised about money going into NPR? MAYERWell, I think everyone has to keep vigilant, you know, so that things like that don't happen. "Park Avenue," really, though, one thing you have to say is it ran. It aired. The real casualty was the next film, which was killed in, you know, in the cradle, basically, and that was the film "Citizen Koch." And that one, it made it to Sundance. It was chosen as one of the films that were aired there, which is a great honor. But public television decided not to fund it after Gibney's aired. REHMJane Mayer, she writes about politics for The New Yorker magazine. We're talking about her article featured in the May 27 issue. It's titled "A Word from Our Sponsors." Your call when we come back. Stay with us. REHMAnd welcome back. It's time to open the phones, 800-433-8850. First to Harvey in Key West, Fla. Good morning to you, sir. You're on the air. HARVEYI'm an old-line liberal, but I think -- and I also produce media projects. But this is very silly. If someone was punching you in the face, would you sit and take it? The real one at fault is whoever was vetting projects to be aired on NET. If they didn't notice, then they are probably on the hook, ought to be fired. And they say that this billionaire is a power broker. MAYERWell, I think he has a got a point. I think nobody wants to fund people attacking them. But I also think that this illustrates the problem, which is that you've got somebody on the board of trustees who's extremely involved in politics, and if it makes it hard to cover him, you got a conflict of interest there. REHMJane, there's another question. What about Sen. Schumer? He had objections to "Park Avenue" as well. He was invited to be part of the rebuttal response at the end of the film. Schumer's staff argue the movie falsely accuse Schumer of supporting tax loopholes for hedge fund managers. MAYERThat's right. And there was a back and forth about that as well. And Alex Gibney went back, and he stood by his interpretation of Schumer's record. He had a professor from Yale Law who was describing Schumer's position on closing the loopholes for hedge fund managers. And, you know, there's -- it's an issue that Schumer has had a lot of trouble with. There've been a number of times when he has objected to coverage of himself on this particular issue. He feels that -- I think, in the past -- his position has evolved on it, which has made it complicated. REHMAll right. And just to clarify, in October 2010, NPR did receive a $1.8 million grant from the George Soros-funded Open Society Foundation to begin a project called "Impact at Government" that was intended to add at least 100 journalists at NPR member radio stations in all 50 states. MAYERAnd again, I think that could be a problem, you know, if there -- if I knew of NPR killing stories about George Soros, I think people would be very legitimately writing about it and asking questions about it. REHMAbsolutely. Let's go to Indianapolis. Good morning, Rick. RICKYou are the greatest. I am just absolutely shocked and appalled that NET would do such a horrible, horrible way of raising money. I am just shocked and stunned at the stupidity of jeopardizing what I get and what I don't get. I only watch NPR and -- or listen to NPR and PBS. It's the only non-bias place to get news and information. I am -- I'm going to go and donate some more money to WFYI in Indianapolis. I'm just appalled. REHMAll right, sir. Thanks for calling. MAYERI mean, I have a certain amount of sympathy though for the station, I have to say, because they have to get money from somewhere. And their federal funding has gone down to just 12 percent of the funding that they need. And so they naturally turn to, you know, it's like Willie Sutton robbing the bank. You go where the money is. And the money is in people -- it turned out in this case amazingly, the people who live in the wealthiest building in New York, 740 Park Avenue. MAYERAnd not only did David Koch live there, but it turned out that the relatives of two other trustees of WNET lived there, too, the parents of one and the brother of another, the brother of the chairman of the board of WNET. So you had a group of people living in that building with connections to the station, and I think it's fair to say none of them were happy about the documentary. REHMBut what do you think that we, like Rick, should conclude from what occurred there at WNET? I mean, people have raised questions about bias on NPR, bias at public television stations. You know, as I said earlier, with government moneys declining, you are naturally going to go to wealthy donors to help fund the programming you want to put on the air. That does not seem to be your concern so much as that firewall that's supposed to exist between funders and producers. MAYERThere's -- absolutely. I think it's a fact of life that the way the funding system works, it's -- there are going to be large donations made from wealthy people. That's just the way it's set up at this point, good or bad. But there has to be a firewall. And there are bylaws that belong to PBS about the news standards, about the importance of the integrity of the news that say, specifically, stations have to insulate their content from improper pressure from donors. MAYERAnd it's laid out very clearly, and it means the stations have to do that. Otherwise, you know, what people do see out in the country, which is very important, will be shaped and influenced by private interest. And I don't think that's what anybody wants. REHMNow, here's a question, an email from Romy. "Could you and your guest talk about the Koch brothers' involvement in the popular PBS science shows, 'NOVA' and 'NOVA scienceNOW'? Are the Koch brothers actively involved in climate denial? Weren't there allegations of his influencing certain episodes of 'NOVA scienceNOW,' featuring David Pogue as host?" MAYERI have read that. I don't know if it's true. I don't feel comfortable, you know, saying it's true unless I've reported it out myself. I just don't really know. And as you've heard earlier, the statement from Melissa Cohlmia, Koch Industries says that David Koch has never interfered in the content of the programming. MAYERAnd, you know, I just don't know. What happened in this particular story, I did know. I interviewed everybody involved up and down the line in all directions. And I know this is right. I just don't know what the situation is with "NOVA", but I do know David Koch is a major funder there. REHMTell me who or what you believe is at fault here. Was it the station manager, Neal Shapiro, who made the call to David Koch? Was that the fault here? Was the fault David Koch saying, you know, I want to change this film? Where does the fault line lie? MAYERI think what concerned me was that the president of WNET offered a major funder, who was about to give over $1 million to the station, a chance to rebut the programming that he hasn't offered to anybody else. That, to me, was concerning. MAYERAnd part two of my concern was that the WNET management, which was hoping to get this money from David Koch, came down very hard on the unit of public television that helps nurture and sponsor independent films and that they felt so much pressure that they basically turned around and killed a future film on the Kochs rather than risk it, rather than risk getting anybody mad at them. MAYERAnd they -- to be fair, I need to give their side, which is they say that film had -- they had editorial differences with the filmmakers and that it had diverged from their original concept of what the film was going to be. That's what they have said. And the filmmakers, Tia Lessin and Carl Deal, say their film was exactly what they said it was going to be and that the managers at ITVS changed their mind about it when they got scared of David Koch. REHMLet's go to Little Rock, Ark. Good morning, Jim. JIMGood morning, Diane. How are you this morning? REHMI'm good. Thank you, sir. JIMThat's good. You know, I've been listening longer since I -- the first question came into my mind. I'd love to have your guest go back and review that question that you post -- I thought it was a great question -- about George Soros. You know, she brushed that question aside as if he was -- that he's totally innocent, that he plays no part in what's happening in the media. And that's absurd. JIMI -- my question is, does she -- has she spent the time that she spent on the Koch brothers on George Soros? You guys at the NPR think that you are fair and balanced. I mean, you say that all the time, and you think you are. And I appreciate that. I mean, I understand your perspective, but there's a large group of people out here that don't feel that way at all. MAYERWell, actually I have spent the time on George Soros than I have spent on the Kochs. I've written a 10,000-word piece on both of them. When Soros started pouring money into American politics, which was I think in 2004, I did a big piece about this. And then when the Kochs started pouring money into politics, particularly into groups that were sort of Tea Party activist groups, I did a big piece about them. I've been following the idea of money in politics from all directions. MAYERAnd I -- as I said, you know, I think that if the Soros is funding specific programming, it's worth taking a look at. And definitely, if you could find that someone killed the story on George Soros because they were afraid of his reaction, I think that is a completely legitimate story. I don't know that that's happened, though. REHMAgain, that firewall between reporters and what or who they're reporting on has got to be maintained. And if management does not support that firewall then there is a real problem. What about the PBS corporate response? MAYERAnd -- so anyway -- several times actually. So PBS' corporate response -- it's interesting. They basically said that stations are autonomous, and what happens at WNET is NET's business. It was interesting to me, and that all questions of what NET did should be better put to WNET. ITVS, the place that develops these independent films for a show called "Independent Lens" and another show is "Point of View," they put out a kind of a single statement. And it just -- they declined to answer any other questions. REHMAnd you're listening to "The Diane Rehm Show." Let's go to Bethesda, Md. Deanna, you're on the air. DEANNAHi, Diane. Thanks for talking with me. MAYERWow. I've never thought that I had the influence to direct the IRS. I don't give myself that kind of dimension that I have any such power. REHMAll right. To Newport Township, Ill. Good morning. You're on the air, Jim. JIMYes. Thanks for some very high-quality journalism. I really appreciate that. MAYERWell, it's not really what I was writing about, so I don't feel capable of responding to that 'cause I haven't really looked at that issue particularly. REHMAll right. And finally to Hollywood, Fla. Sharon, you're on the air. SHARONI've -- I called in right when you started, so obviously other thoughts have come to my mind too. But in politics, everybody has a different form of power, and that power is used to have some influence in the world. I know enough about the Koch brothers to know that they not only have money but have not always been the most scrupulous people in the world. SHARONBut my grandma used to say that no rich man is ever honest. So I guess it's pretty much true of Soros, too. But everybody, you know, you present stories that try to convey your point of view. And politicians, whether or not they have money, are also able to exert some influence. MAYERI think it's different. I mean, the Koch brothers are businessmen, extraordinarily successful ones and extraordinarily wealthy ones since they're each worth $40 billion according to recent estimates. And what's interesting to me partly is I've -- I have heard through sources that despite the fortunes that they've got and despite the sort of political activism they've been involved in, they felt frustrated with the mainstream media. They feel that they -- that it doesn't tell the story the way they want it told. And I think you need to know that as they think about buying the Tribune. REHMAs they think about buying the Tribune. Jane Mayer, she writes about politics for The New Yorker. Her article "A Word from Our Sponsor" is featured in the May 27 edition of the magazine. And you can see a trailer of "Park Avenue" at our website, drshow.org. Jane Mayer, thank you for being here. MAYERGreat to be with you. Thanks for having me.